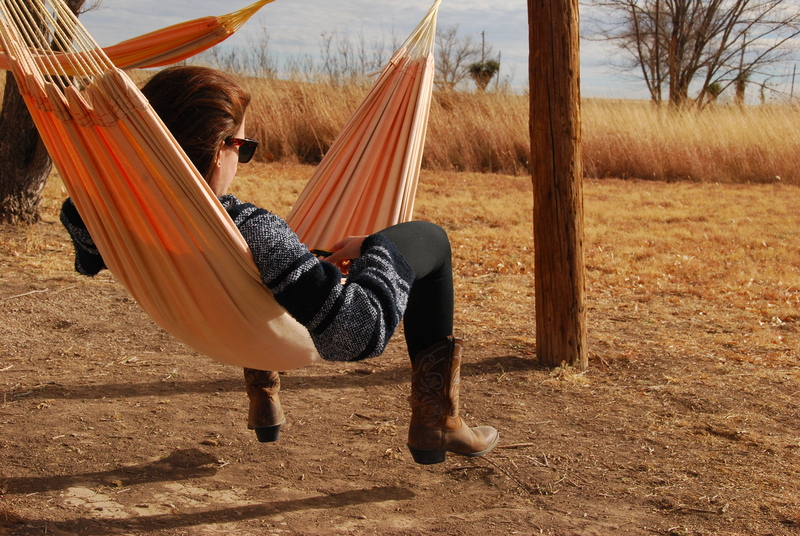 When visiting Marfa there are few activities more satisfying than leaving it. When disenchantment with the unvarying desert horizon and Donald Judd’s box sculptures sets in, usually between one and three days after arriving, you have no choice but to get the hell out of there. I say this as someone who visits Marfa of my own volition annually. 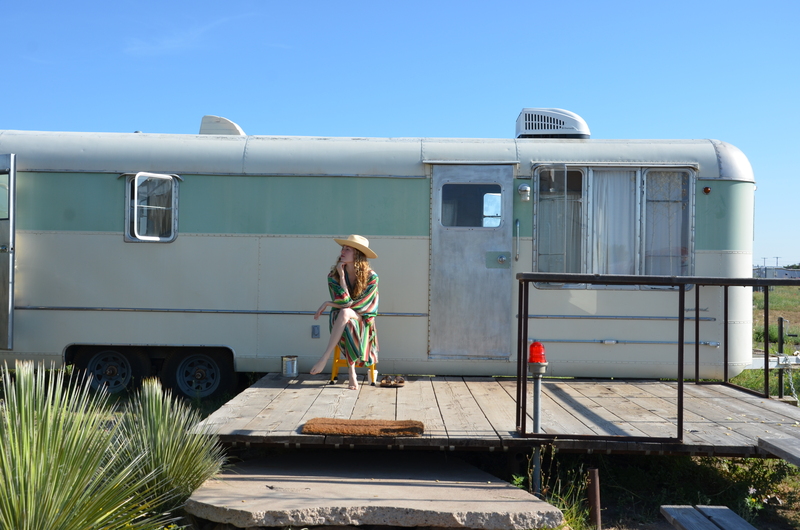 The night skies, the date pudding at Cochineal and the charms of Airstream living at El Cosmico draw me back again and again, but once there I can never quite remember what it was I yearned for so dearly that I’d drive a day through the desert to find it. Surely it wasn’t the limited dining options and abundant boutiques filled with objects for the most discerning of trust-fund-hippies, nor yet the authentic poverty of a border town. It can’t have been the Judd Foundation—I’ve seen enough minimalist concrete sculptures to last a lifetime—nor the call of open-air, ice-cold baths and showers; I can expose myself to a group of like-minded city-escapees for free at home. Perhaps it’s the sunsets and starry skies at night, or perhaps it’s simply the remoteness of it all. Because Marfa’s most defining characteristic is being in the middle of nowhere. That’s part of its charm, but it makes escaping the place something of a challenge. 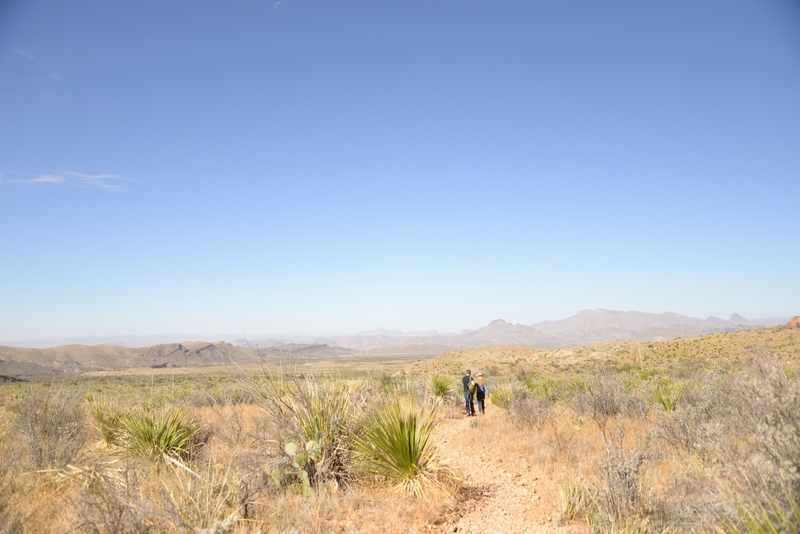 If it’s just civilization that you’ve grown weary of (and here you thought you were escaping it by going to Marfa in the first place), you need do no more than walk fifteen minutes in any direction from the center of town to find yourself out in the desert. Flat, pale golden plains will stretch away from you towards every horizon, meeting with clear blue sky. Sparse shrubs and tumbleweeds vary the monotony of the landscape, and you become possessed of a certainty that if weren’t for fear of heat stroke, you could have had a profound revelation of some sort as you watched a wake of buzzards pick apart old road-kill. But it’s best not to linger out too long, lest you become the carrion. Relief lies but an hour away (a stone’s throw by West Texas standards), at the little State Park of Balmorhea, where a 3.5-million-gallon spring-fed swimming pool awaits. Its deep blue waters hover near a refreshing 70 degrees year round. Built as part of Roosevelt’s New Deal during the Great Depression, the pool is now home to various species of endangered fish and the manifestly not endangered local children, who spend their summers showing off on the high dive. Off season it’s usually empty, so you can bathe in the quiet company of a few turtles. 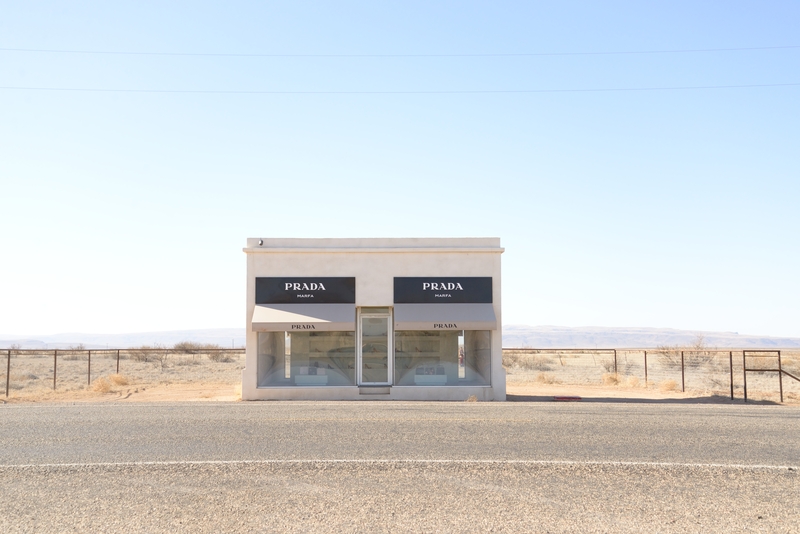 Once refreshed, you may feel up for a pilgrimage to the oft-photographed work of art that is Prada Marfa. Don’t be fooled by the name; this little structure is a forty-minute drive down Highway 90, beyond the town of Valentine, a little further than the point where you become convinced you’ve gone too far, and would have turned back if there was anything to turn back to. Once there you can sit on the installation’s front steps, look through its windows at the shoes and purses within, or, my personal favorite, race tumbleweeds down the train tracks opposite. 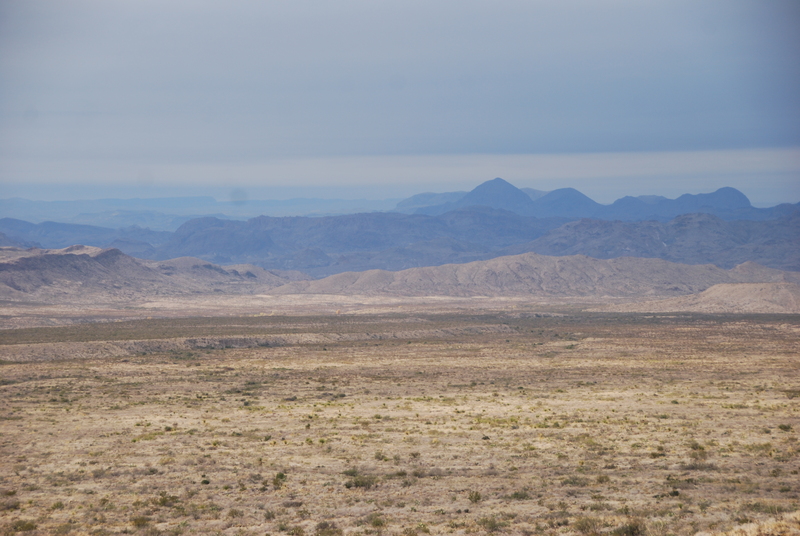 If you feel like driving much further (over two hours from Marfa), you can make it to Big Bend National Park. What initially appears to be a federally protected stretch of endless shrubs holds remarkable rewards for those willing to hike for them. There are canyons, mountains, gorges, hot springs, rivers and waterfalls. Start early for cool air, quiet trails and unobstructed views as far as the eye can see. On your way back to Marfa, you may want to pause for dinner at the Gage Hotel in Marathon. This mansion-turned-hotel, located in a town with little more than a railroad track, looks as though it’s been plucked from the movie Giant. The historic rooms are pure Texas, complete with cow skulls on the walls, while the adobe courtyard rooms have pinion-burning fireplaces. The beds are the most uncomfortable I’ve ever slept in, but the décor makes up for it, and the “12 Gage” Restaurant is one of the finest in the region for fine dining. If your taste has been whetted for long drives to nowhere in particular, Pinto Canyon and Terlingua Ghost Town are both fine excuses for a destination. The former has proven an archaeological trove of prehistoric art, while the latter hosts the remnants of a mining town abandoned in the 1930s. While in Terlingua, stop for refreshment at the now-resurrected La Kiva bar, a subterranean local joint with delicious food and potent libations. Whether or not the ghost town lives up to its haunting name, the Marfa Mystery Lights promise supernatural (or at least, sufficiently eerie) thrills. Drive a little north of town after dark to watch for these floating, multicolored orbs of light. They’re most likely the mirage-like produce of sharp temperature gradients between warm and cold air, but knowing that hardly diminishes the wonder of seeing the lights first-hand (some seasons are better for viewing than others). For more assured nocturnal phenomena (clear skies pending), there is no finer antidote to dust, heat, and desert disenchantment than the McDonald Observatory. Watch stars emerge during their Twilight Parties, and then sit back in awe during their Star Parties, which combine history, science, star gazing and telescope viewing for an evening that will stir the hearts and minds of even the most jaded viewers. A warning: dress as you would for a trip with Shakleton, and beware javelinas darting in front of your headlights on the dark drive back down the mountain. I promise you’ll return to Marfa with your sense of wonder so restored that you’ll find it hard to stay away too long.